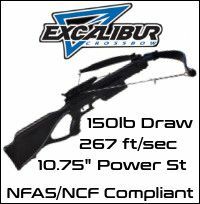 Crossbows are great fun and very easy to use with the right advice, you will be hitting the bullseye before you know it and enjoying hours of fun. For those on a strict budget the crossbows in this category will provide you with a good starting point until you get more serious. 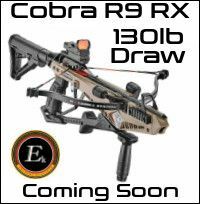 The compound crossbow has a cable and pulley system to enable the rigid prod (bow) to delivery more power and to make cocking slightly easier as you only pull the full draw for the first 3-4 inches. The recurve crossbow depends on the strength of the prod and length of string pull (from rest to trigger) to determine the power generated. The higher powered recurves will require a cocking device as they can be just too hard to pull back by hand.